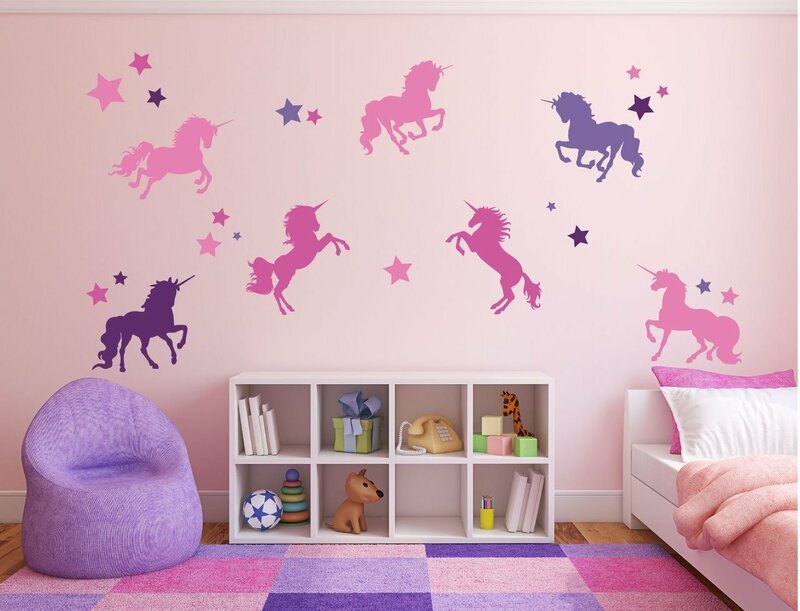 This custom-colored full-wall mural is a gorgeous design for the ultimate fairy tale lover. It comes with many elements that can be arranged in many different ways so you can create a look that is truly your own. 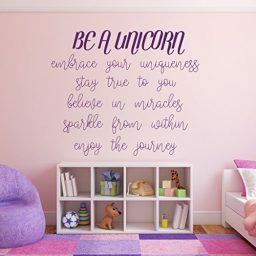 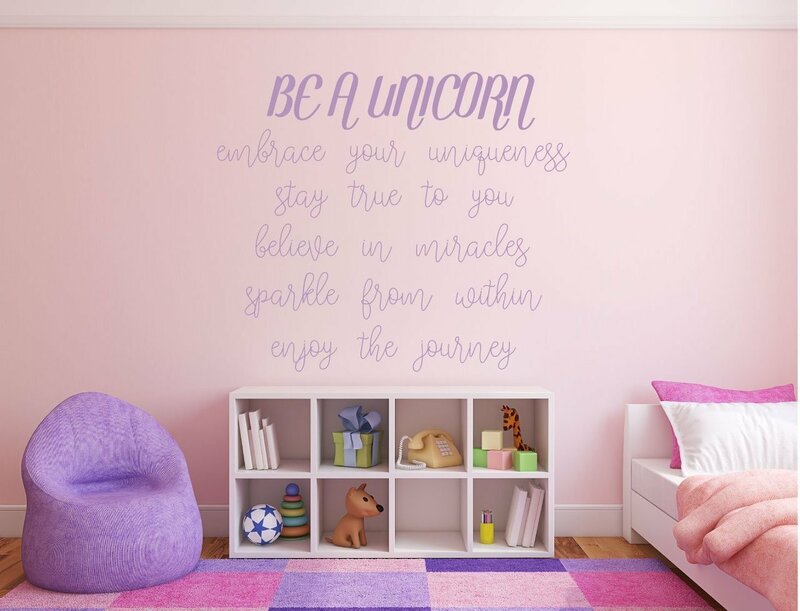 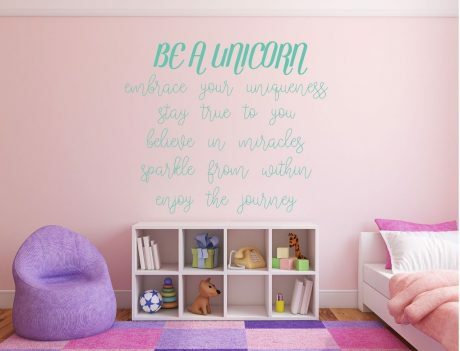 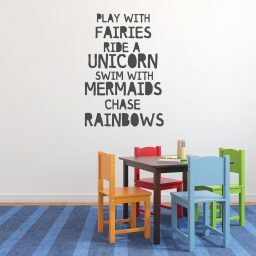 This vinyl wall mural comes with 7 unicorns, a row of hanging stars, multiple floating stars in varied sizes, and the quote. 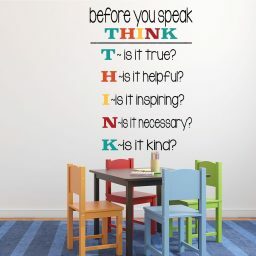 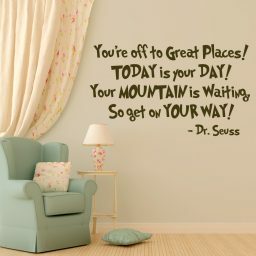 This inspiring quote with all of its many designer elements will make a huge statement! 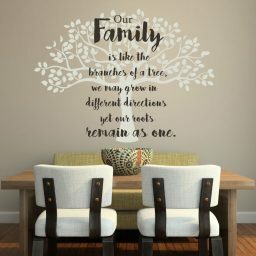 The sizing is based on the measurement of the quote, and the other elements are cut in proportion to that. 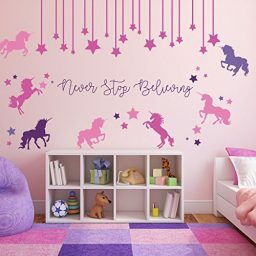 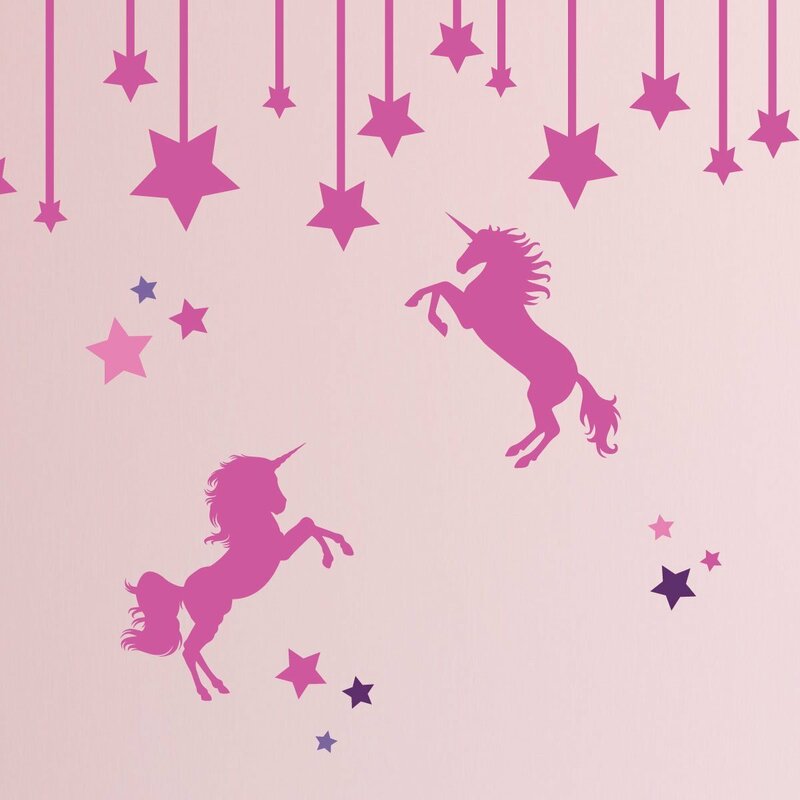 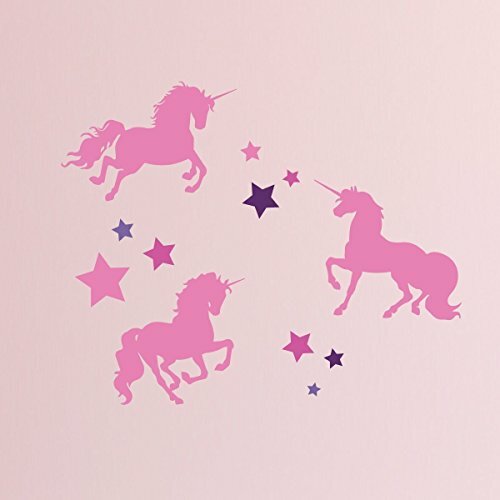 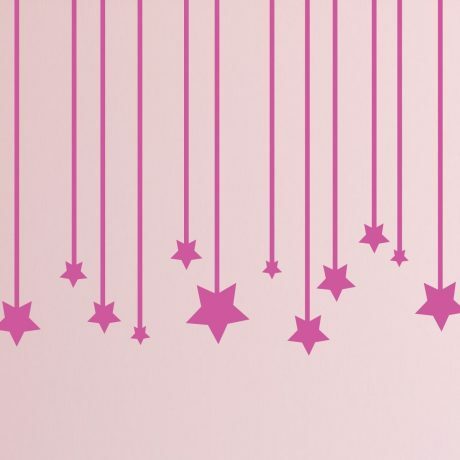 This comes with 7 unicorns in a variety of poses and colors, scattered floating stars to add extra sparkle, and a row of hanging stars to add whimsy and wow-factor! 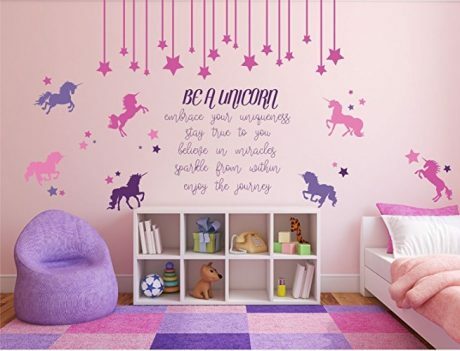 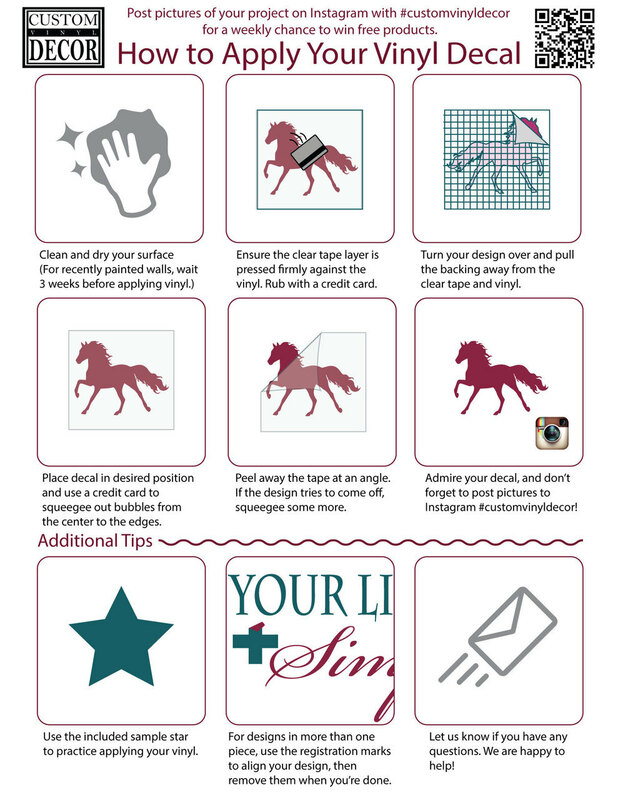 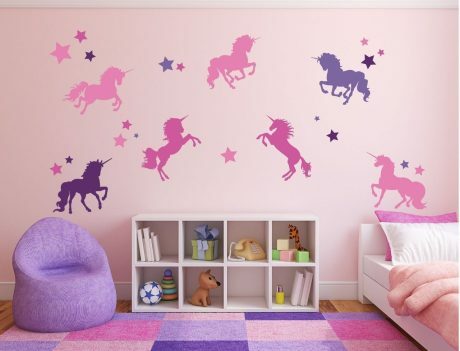 You can use all the pieces to create one large unicorn mural, or you can break the pieces into clusters that you can scatter wherever you like. 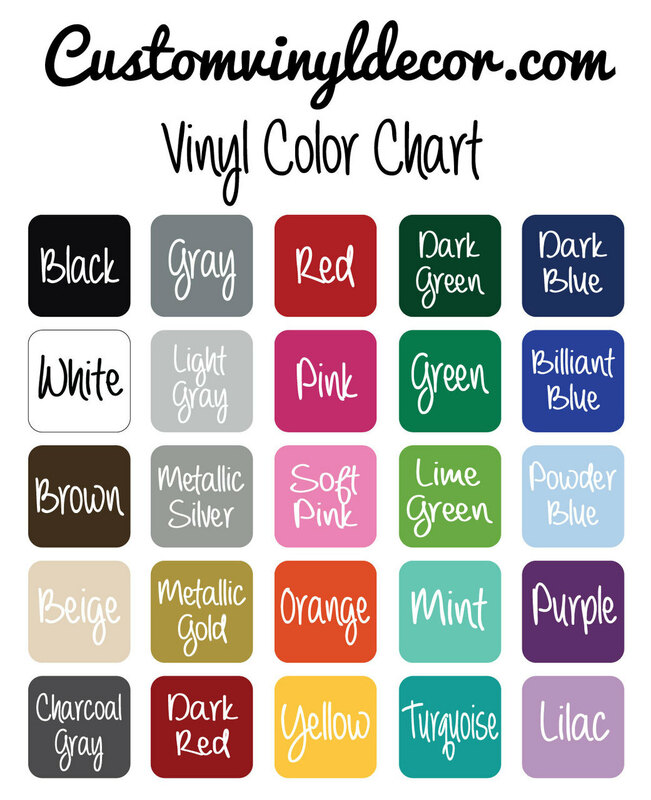 These decals can be added to doors, windows, and furniture, and you are sure to get the look you want because of the versatility of this design. 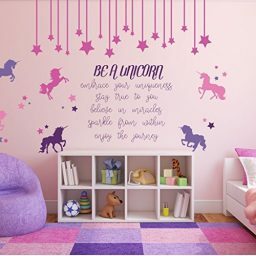 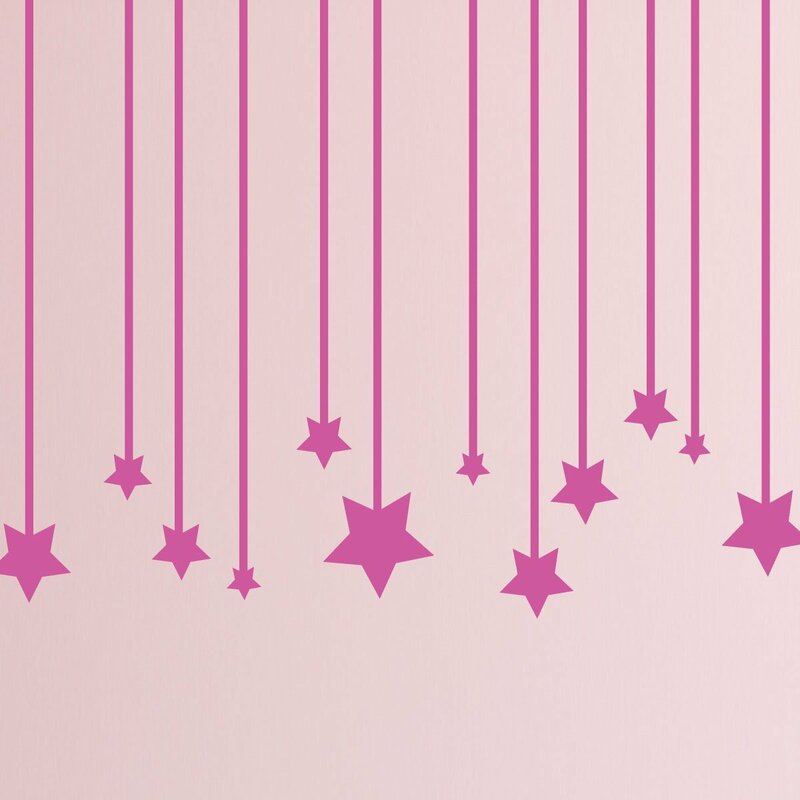 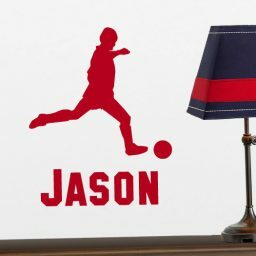 Watch the joy light up in children’s eye when you are done decorating with this beautiful decal!